Saturday afternoon I was restless. I was feeling the weight of my 39 week belly heavily, and mindful of all the things I still could get done before this babe arrived. Ashley and I went for a walk around the neighborhood. We had done the same several weeks before at the end of a day of strong contractions, so I didn’t think expect too much of it. Dull intermittent cramps piqued my interest as we discovered a fruiting pomegranate tree leaning out over a low wall. Pomegranates were something of a theme of this pregnancy so that more than anything made me wonder if something was actually happening. At home that evening I cooked a few meals to stock the freezer & baked a giant batch of biscuits. Cleaned and tidied and sorted with a sense of intention – a rather unusual burst of activity at this stage! No more pain or telltale signs, I didn’t even voice my suspicions that this baby was getting ready to meet us. I didn’t want to start taking every twinge as a sign 5 days before I was even due; everyone knows that “first babies never come early”. Except me – who was convinced before I even had a bump to show for it that this little one would be born before they estimated. As usual I was up & down for a drink and to go to the toilet several times in the nights. 2:30 am something woke me & as I slowly negotiated my bulging frame to roll off the edge of the bed, I knew something was up. Nudging my husband awake (not twice but three times, with increasing force) I whispered “there’s no need to rush love, but I think this is it”. My waters broke as I stood up to waddle to the toilet on the other end of the house. 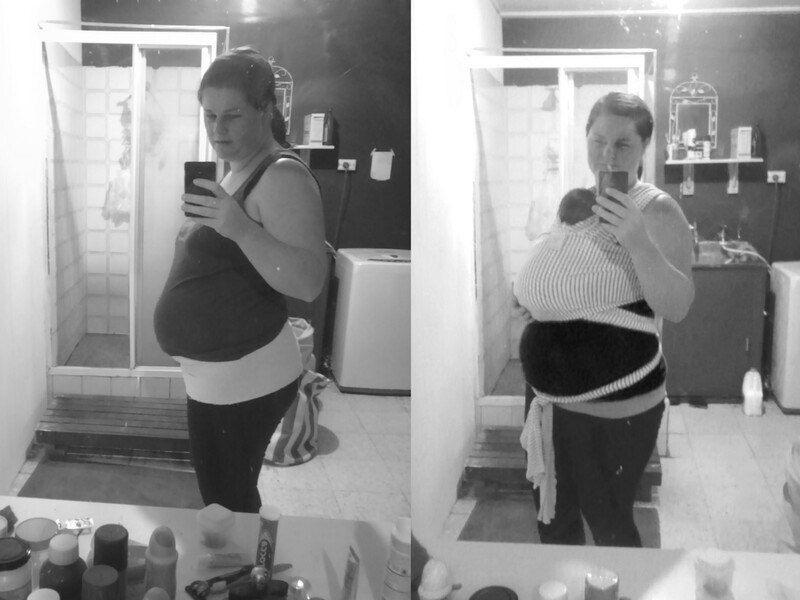 3 days before birth & 3 days after. He was dressed and ringing the hospital before I made it back to the living room. I was immediately having strong rushes/ contractions as I tried to remember the last few things to add to the hospital bags before we left. As soon as we started timing contractions they were close enough to head in to the hospital 45 minutes away. I showered and ate, yelling out with every contraction so Ashley could alert the timing app I had downloaded that morning. Gave him the ‘this is it’ check lists to go through and hoped I was right about which clothes would be the most comfy to labour in. Travel mug of tea in one hand & phone in the other, exercise ball & overnight bags loaded up, we drove 45 minutes through the mist on a chilly morning. With my family in a different time zone it was early evening for them so I knew they would be awake. All the aunts & besties got an alert to pray & we would keep them posted. I remember little about the car ride, except that Mr T and I had a conversation about how he could best support me through labour & how I’d like to communicate what I needed when I wasn’t really in the mood to talk! I know it sounds like a late stage to have that conversation, but I’m not sure I would have known what to tell him I needed before I had started to need it. I was expectant for a great labour, and felt well prepared emotionally. Through stories I had read and heard from others, I was acutely aware of what a big role your mental state plays in the physical process of labour and birth. While I did not do any hypnobirthing training, a lot of the methods I’d prepared with were along similar lines. I had prepared a playlist, some specific mental pictures that I knew would bring me joy & peace, and a few affirmations/ declarations to focus and reassure myself. In the months before this baby was conceived I had a bit of an overhaul in the area of fear in my life. I explain it most easily as a break up: moving on from an unhealthy long-term relationship. I was determined not to slip into the fears and lies that are so common and tempting surrounding labour & birth. I am so unimpressed with our cultures need to share horror stories & unburden our own painful experiences onto others – but that’s for another day. My underlying resolution was that we would choose paths of peace, and remember that whatever happened – God could and would be glorified through this birth. 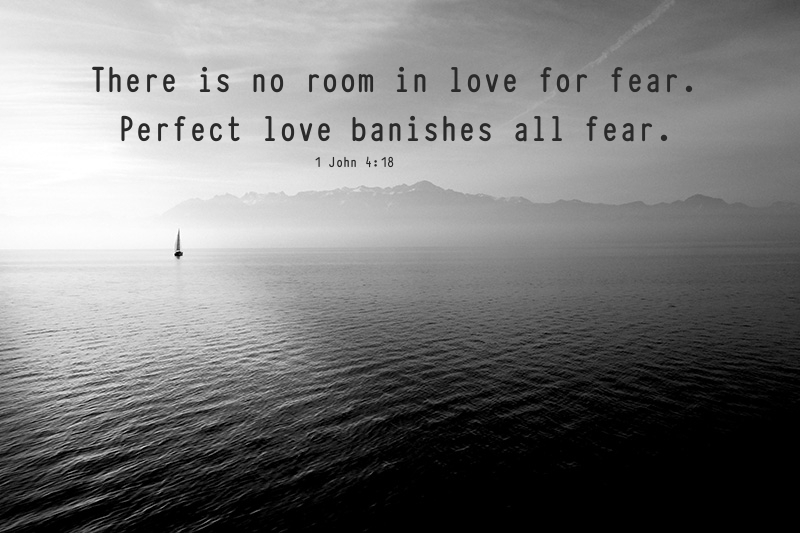 There is no fear in love; with perfect love there is no room left for fear. We arrived at the Wodonga Maternity hospital at 4am and after mistakenly taking us into the examination room to check if I was in labour. My contractions were between 3 & 5 minutes apart with varying intensity – definitely not a false start. We were introduced to the midwife who would look after us & lead to the birthing suite to settle in for the day. The midwife looked over my birth & breastfeeding plan soon after our arrival and double checked all my preferences with me. Healthy baby & healthy mom were the primary goal. That said, after much reading & research I did have several preferences & directives. I felt cared for and respected in these choices from the start, and am so grateful for that, as I know not every mom has that experience. They have great facilities at this hospital and I knew that a lot of more ‘alternative’ tools were available; an exercise ball, peanut ball, birthing stool, a shower etc. Still contracting every 3-5 minutes I was 4 cm dilated when examined in that first hour. I knew I wanted an active labour and was walking around as much as possible. Due to gestational diabetes I had to have a heart monitor strapped to my belly for the entire process, but they gave me battery operated monitor when I wanted to move around. I was back and forth in many different postures as I labored through increasingly strong & close contractions for the next 7 hours. Lying & sitting on the birth bed (which is an incredible feat of technology with all the bells & whistles & the positions it can pull off! ), I was walking around, leaning on Ashley, squatting on an exercise ball & kneeling over having my back massaged. My fantastic midwife kept a heat pack tucked into the monitor straps on my back the entire day. Early on in my labour the midwives changed shift and we were introduced to a new lady who would end up staying with us until the end; she was the perfect fit for me. I had toyed with the idea of hiring a doula, but for various reasons decided not to. As my ‘care plan’ changed a few times during my pregnancy which can be quite unnerving, I asked God to guide the whole process of carrying & birthing this baby, & to facilitate the best people and process for me. Chelsea our midwife was the doula I never hired and I’m so grateful for her. She was the perfect fit for us and the labour that I had dreamed of. A few hours in I asked the midwife to check how far dilated I was. I had hit a pain threshold and needed to know how far into the process we were, & how much longer I’d need to keep my focus! She questioned my request, discussed it with me and we decided not to do an examination. I asked for gas at this point, which she turned on as low as possible & taught me how to use during the worst contractions only. I spent more time on the bed than I had anticipated, but was mostly in an upright leaning position due to the fabulousness of the bed. As things progressed we slowly turned the gas up. I was strong and focused, encouraged and confident in how things were going. In the same breath I remember so much and so little of my laboring. I remember my mental state and processes far more than the physical aspects. I used all of the techniques I had prepared – and surprised myself with some of the visualisations that I found most helpful. My husband was outstanding; in my opinion this birth is something we absolutely achieved together and I know that I wouldn’t have enjoyed it as much without his support. He kept me hydrated & changed/ restarted the music endlessly! He responded so graciously to every need I uttered: ‘pray’ ‘say nice things’ ‘I need a picture’ etc. I reached another level of exhaustion at about 8 hours in; I was fully dilated but baby was still not moving down far enough which was frustrating as the head had dropped and engaged weeks before (leaving me to waddle like there was a melon between my thighs). Though my waters had broken at the start, they had to break the membrane again to release more fluid that was stuck above the baby. From around midday I was actively pushing, barely getting a break from contractions, seeing slow but steady progress. I was so grateful to be pushing! My body knew just when the surges were right to push and when to rest – by this stage I was only vaguely aware of my own tiredness and the ache in my body from being so physically engaged for so long. I was sitting back on the über bed for all of this phase as far as I remember. I seemed to want use my arms a lot – and boy were they stiff the next day! I used the stirrups for my feet (by choice) and pulled on the rails on the side of the bed to spare Ashley’s hands the constricted blood flow! He was still with me the entire time – supplying ice chips and drinks and pacing while he prayed. Somehow I don’t remember the next part as well, so will just record as much as I can. It was all systems go – finally. For much of the labour our midwife wasn’t in the room with us, but from the time I started pushing she & the new lady on duty stayed with to support us. After about an hour I was increasingly ready to meet my baby – mentally I felt a shift and I knew that it was time. They coached me as I pushed longer, better & more often with each wave. Finally the head started to crown and I knew that my brain, my body & my baby were all in sync for this last lap. The midwives were excited as they could see more & more of the head with every round of pushing. Although I’d barely been aware of the time through most of my labour, I was getting impatient & felt like this was now taking longer than it needed to. Baby was so far down that the monitors round my belly could no longer pick up his heart beat, & though there was no reason for concern, that did put us on the clock as far as the Doctor was concerned. Visualizing that little person’s face, I reached down & felt his mop of hair and what had been so surreal for the 8 months prior finally clicked. A new person was created inside me – and I was about to hold him/ her in arms. I had thought I was giving it all my energy, but somehow there was a last reserve to carry us through. The Doctor put his hands in around the head to assess the situation & though I knew it was the best thing at the time – I just wanted him to get it over with so I could keep pushing. I was getting quite annoyed when he kept going about his business while I was trying to push. I could sense him assessing what intervention might be necessary, if any – interventions I knew I wanted to avoid. This coupled with being frustrated that he was taking so long gave me the mental kick I needed after nearly 12 hours. We knew from early on in the pregnancy that this was a big baby; his length and size in the 97 percentile and his head 93 percentile the week before he was born. We noticed his hand resting on his cheek in a few of the ultrasounds and it turns out that day was no different. While my body was prepared to accommodate the size of his head – head plus fist was just one step too far. Knowing this and listening to my body, I agreed to an episiotomy and within minutes knew exactly what they meant by the ring of fire! Two or three sets of pushing later and a wave of relief washed over me as my baby was finally out in the world. He took his first breath within a few seconds & they immediately laid him on my chest. Gazing at his tiny face the sound of his squawking filled my ears & I was totally focused on him. They covered his body with a towel & rubbed his head of hair clean– Ashley asked if it was a girl or a boy? The thought hadn’t even crossed my mind as I met my darling baby; Ashley crossed around to the other side of me & announced with joy – it’s a boy! Experiencing this miracle of childbirth that my body was designed for was liberating and empowering; I am so grateful to have enjoyed a natural peaceful labour and birth. What a lovely post you wrote detailing your experience. I am happy you had so much faith in god and you were so brave giving birth. He is absolutely beautiful, congratulations.